As the sun was shining and glinting in a wonderful golden sheen off all the buildings in the weekend, the Fish went for another exploration, in search of lost architecture. Can anyone name this little frontier town? It’s seen better times…. The third photo has a mobile phone number. Googling the number throws up a number of hits for a guy called Alan Towers on a site for Auckland Grammar School. Auckland has gone down hill recently. I thought it would take longer than that! How on earth did you figure that out? And where are these signs that you’re reading the words from? James Kirkus Lamont (fine name sir!) did you actually ring the estate agent to find this out? If so, I imagine that they must have been excited at the thought of a possible nibble at these high quality places for sale…. 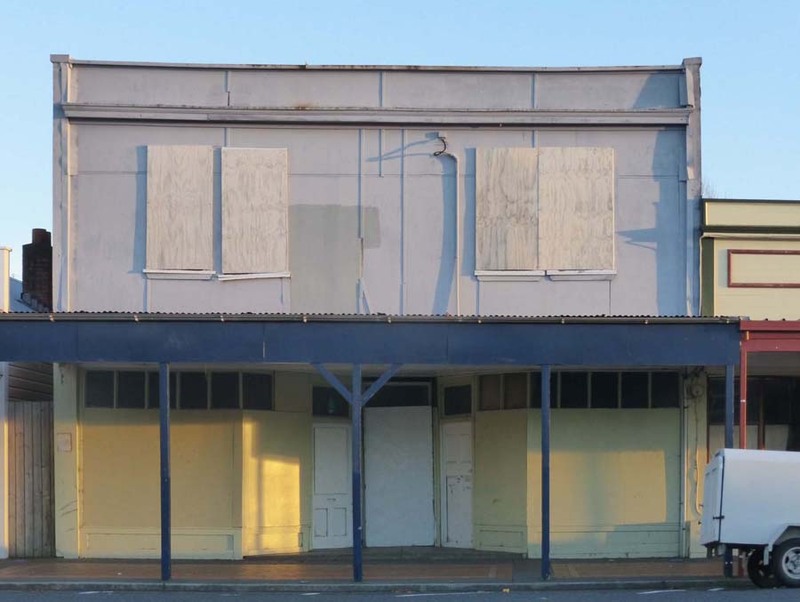 Raetihi just sprang to mind, and a quick check on StreetView… (since when more dereliction has occurred). Yes I guessed Raetihi. A couple of good cafe’s on the main street with yummy food worth stopping at. And an interesting craft shop. The petrol station also has great service. Always try and stop there if traveling from or to Whanganui. Why thank you sir. I almost called the agent but found it after a quick trawl of their site. I think that davidp’s answer really takes the cake though. Thought it looked like Raetihi ! Don’t know where you were going with this one Max but I think there is a real danger that many of our rural towns could face decline. The census numbers show some big decreases in percentage terms especially across the middle of the North Island. From memory Ruapehu District had the biggest % decline in population of about 20% from 2001 – 2013. Over time, even in NZ’s short post colonial history some settlements do come and go, but I’ve long thought we should as a nation look strategically at population, distribution of population, what is desirable and what isn’t. We have an extraordinarily large city in Auckland (2nd biggest in the world I think in comparison to the population of the country – behind only Dublin and I am not sure what is counted as greater Dublin). Clearly there are real issues that arise from that. The question would be what tools are available to try to achieve the desired outcomes. Interesting to see Connor English as outgoing Fed Farmers CEO saying today that rural broadband and cell connectivity are important. At the moment though population strategy is something that neither the Red or Blue corner seem to want to look at – maybe it is too long term an issue? Andy, thanks for your comments – I wasn’t really going anywhere – except for a drive – but I do agree with your sentiments wholeheartedly. Even big towns / small cities are hurting by the shift to Auckland, but it is, as you say, the small towns that simply aren’t surviving. 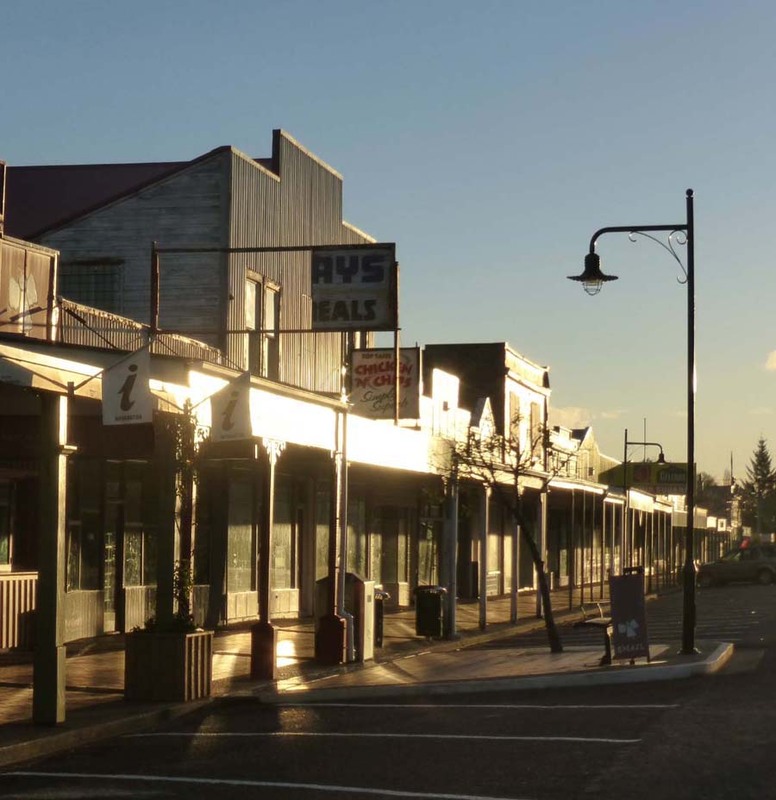 Issues of strengthening faced by WCC can at least be tackled (partially) by the application of some funds from the strengthening fund – but I doubt that Ruapehu District Council has much spare dosh to dish out. 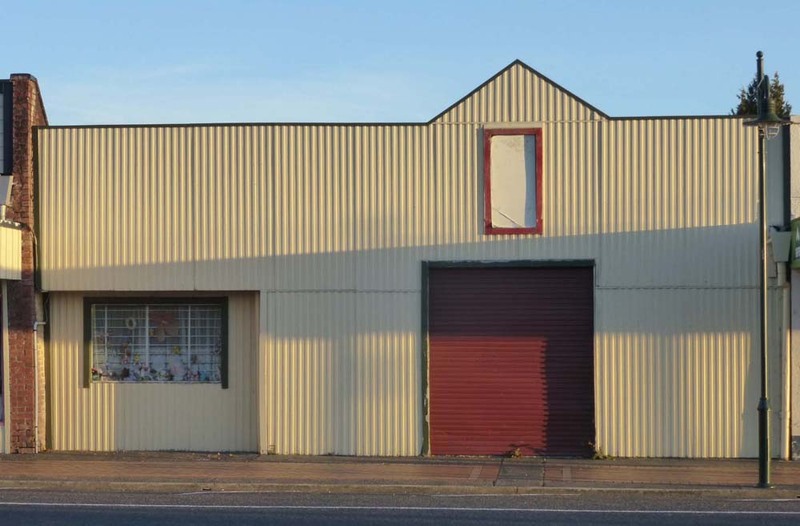 Which is just as well for Raetihi, as they haven’t got a whole lot worth worrying about: there’s only one building in town that I’d call a piece of architecture, and the rest of them are just sheds really. One thing though – you are wrong about Auckland being so large and so sparse – it’s a common urban myth it seems, but Auckland is not really that large on the world stage. I saw or read an excellent demonstration of that a while back – perhaps it was even here on the Fish in a post by Minimus ? I’ll try and track it down. I don’t think Andy was talking about geographic size, rather the percentage of NZers that call Auckland ‘home’ is eye-wateringly high. What is the danger of declining rural towns/urban migration? The danger? Is it a danger, or is it just sad? New Zealand has gone from being an exceptionally rural country, to a highly urbanized one, in the blink of an eye. Will farmers have to drive to Auckland to buy a new tractor, instead of just taking the ute into Waipukerau? Will we just drive through a country completely devoid of towns, even more so than now? >What is the danger of declining rural towns/urban migration? Most of this was probably inevitable. We spaced small towns around travel time when people got about by horse. Now rural folk can drive much further and take advantages of medium and large town services. The danger is that we end up with small towns that have no jobs and no future, but where people are locked in to staying because they own a property. Sort of like mini-Detroits. A lack of jobs and a generally tired and decaying environment leads to social problems and crime. Also, government still needs to provide social and other services to these small places. That is expensive both in terms of lack of economies of scale, and in providing services in a challenging environment. I wonder if the answer is for government to abandon some of these non-viable places in an effort to save others. Ohakune is just up the road and seems to be doing okay because of the ski industry. Government could purchase some land on the edge of Ohakune, then do a one-for-one swap with Raetihi property owners. Then pop the Raetihi homes on to trailers and move them up the road. Instead of two 1k-person towns you’d have a single 2k-person town. The schooling is more viable and efficient. Health services are more viable and efficient. You only need one police station instead of two. The Ohakune shops have more customers. You might end up with a better outcome for everyone. Isn’t it a bit of a myth re NZ as a rural nation? We have been highly urbanised since colonial times (or suburbanised since the later half of the 20th century), by proportion of population – even if we did have a strong rural culture through much of the 20th century. Also, the above images suggest that ‘the invisible hand’ is, albeit slowly, effecting the kind of moves davidp is arguing for anyway – no? Thanks guys. Seamonkey – you are absolutely right – I was commenting on Auckland’s size in relation to the overall population of New Zealand. That’s the context in which it is exceptionally large. DavidP – exactly right too. That’s why I said that our short history has seen towns come and go – think of some of the gold mining, forestry, hydro towns, and close to Raetihi the efforts to get returned servicemn onto the land – hence the ‘Bridge to Nowhere’. The question is exactly that, whether to abandon some towns and settlements or to support them. The point I am making is that this should be of interest to any Government, to consider the pros and cons, and make strategic choices. You can’t easily fly against ‘the market’ but you can manage it successfully round the edges and that is the kind of thing that could help a town survive if it makes sense to do so. At the moment Governments have been conspicuously either hands off or ad hoc in their approach. On the flip side some decent analysis re Auckland’s growth in an NZ context is warranted. Is the growth rate a good thing ? Is the size a good thing or not ? Are the resource implications and the wider economic issues that arise from (eg) inflated Auckland property prices a good thing ? They just seem to be questions that should be properly looked into. Good questions Andy, but outside my scope, although of course I have opinions on them, as always. It sounds as though you have some strong opinions on central Government being involved as well, or are you advocating for a greater role for local Government ? I’m certainly not keen on Auckland continuing to grow unrestrained – am writing a post against the über ideation of Auckland which I’ll post up here one day – but I think that natural selection will kill off unrestrained growth there anyway. The Auckland oriented transportblog has a lot of good discussion on their city growth…. then you need to adopt the entire model and become more like those societies. It requires a root and branch transformation; essentially a different culture from what we have now. They have a lot of what we call here the tall poppy syndrome except it is the Danelaw. For the more labour-mobile and individualistic like us and like the English those sort of benefits can come more from local production specialising and/or university innovation hubs. Eg if the Martinborough Cordon Bleu school had gone ahead it would have done wonders for that town. As for the innovation hubs I was thinking the Malaghan Institute as an example. I cite these merely because I abhor people saying “you should innovate” without giving examples. and Wellington can sell itself as a summer (cruise) destination then the regional strengths look to be mainly services-oriented. Raetihi itself may die on the vine but imagine Ohakune getting decent broadband and marketing itself to competitive international ski teams as a Southern Hemisphere training base in their off-season, for example. Perhaps Raetihi could market itself to the ski bums that will tag along? “Swaths of provincial New Zealand could be effectively “red zoned’ as local councils are forced to abandon their shrinking and ageing communities, a new report says. In a wide-ranging look at the country’s future, the Royal Society of New Zealand’s report, Our Futures, says difficult decisions are looming in some districts – singling out the Kapiti Coast and Horowhenua – where the population is disproportionately of retirement age, and deaths outpace births. These decisions could include making unpopular cuts to funding for roads, schools and medical services, and even abandoning some communities altogether, similar to the “red zoning” of parts of Christchurch after the 2011 earthquake, when whole suburbs were written off as economically unviable for habitation. “Should the central government plan ‘red zones’ for local authorities unable to meet their responsibilities? In some rural areas, roads are already too costly for locals to maintain, even though they are essential,” the report says. 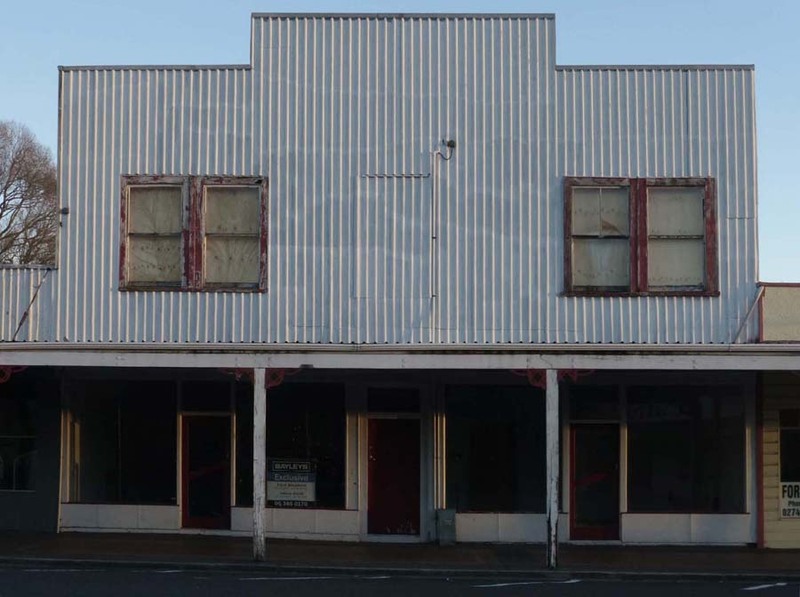 Waikato University professor Natalie Jackson, who contributed to this part of the report, says that in some small towns the decline will be difficult – if not impossible – to avoid, and the Government needs to focus more on regional development or, in some cases, “exit strategies”. Last year’s census revealed about a third of councils had shrinking populations, and about one in five now had more people over 65 than children. This trend would only accelerate as the population aged overall and new, younger migrants stuck to the cities, particularly Auckland. “If a quarter of your population is on fixed income, how can you keep putting rates up? It is just going to become harder and harder to maintain those services,” Jackson says. 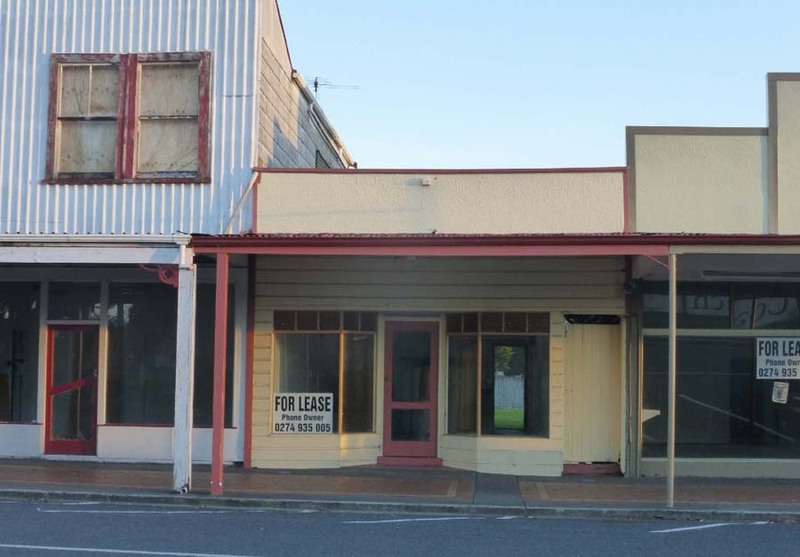 “Eketahuna is small and getting smaller – but residents are adamant it is not disappearing. The rural settlement near the foot of the Tararua Range has lost its two banks, post office and schools. It has had to raise funds to rebuild its petrol station after a fire, and was forced to set up a trust to run its Four Square – the only place to buy groceries. Of its 441 residents, nearly a quarter are over 65, far above the national average, and the population is slowly declining. It is one of dozens of towns that researchers are examining amid concern there will soon be a fresh wave of “ghost towns” – settlements abandoned as too small and old to maintain. But resident Charles Death says, while his town has shrunk, it will not disappear. It still had a community constable and a medical centre. You’ll always get some barnacles hanging on in places like Eketahuna. 60 – actually, I really like the drive through Eketahuna on the road north – you come barrelling through the middle of nowhere, up and hill, round a corner, and then – WHAM – you’re in the middle of Eke, with a gigantic white Kiwi in your sights – a quick flick of your wrist and lift off the foot on your throttle, and then you’re out the other side, under the bridge, and off again. Marvelous wake up call. There’s nothing worth eating or drinking in Eke, but it is so much more preferable than, say, Masterton or Dannevirke, where there is a monotonous 50km zone through turgid suburbia for bloody miles and miles… give me Eketahuna or give me Death!